Get 20% Off For Summer A! It's Earlybird week! Register for Summer A classes before midnight on Sunday, April 21st and get 20% off all classes after your first! 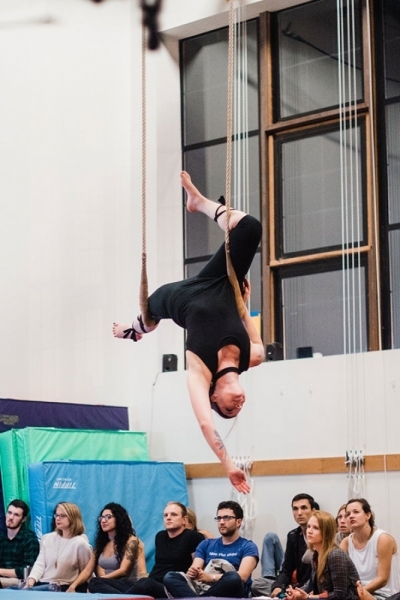 We have beginner-friendly options for Hoop, Silks, and Trapeze - join us for the fun! Try a Beginner Class and see why people love Bumbershoot! At Bumbershoot Aerial Arts, we put the "play" back into life. With quality instruction and a nurturing environment, we empower you to get creative and have fun! When you come to class, we give you a trapeze and teach you that your options are limitless. Through climbing and swinging and dancing in the air, we expand perspectives and inspire new confidence. We love altering people’s self image by showing them what they are capable of. As you climb to the top of a 30 foot rope, your every day challenges are put back in perspective. 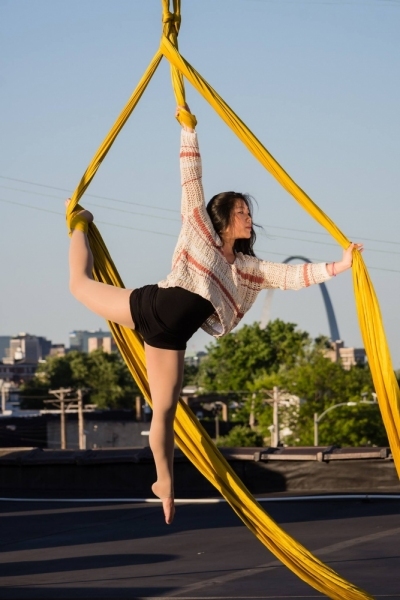 Bumbershoot Aerial Arts enriches peoples' lives by helping them find their inner monkey.